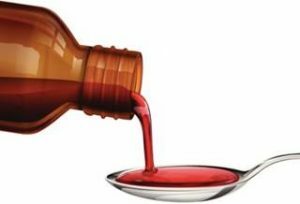 Recent research shows that 4 in 10 parents make a significant error when measuring liquid medication for their children. They are also twice as likely to make an error when the doses are refereed to in “spoonful” units instead of milliliters. The problem is that not all household spoons are created of equal size. According to the study, instead of using a measuring device provided with the medication, 30 percent of parents used a kitchen spoon. This is a big problem in light of the fact that confusion over measuring liquid medications leads to upwards of 10,000 calls to national poison control centers annually. After measuring liquid medicine, immediately replace the cap. If small children either live in your home, or will be visiting, be sure child-resistant caps are on. It’s best to store both the medicine and the dosing tool together. This way you will always have the correct measuring device on hand when you need it.